Carnegie Mellon University and Google are teaming up to make Massive Open Online Courses more engaging. There are more than 7 million students around the world enrolled in some 12,000 Massive Open Online Courses, or MOOCs, with topics ranging from oil and acrylic painting techniques to developmental artificial intelligence. But, MOOCs aren’t your typical online classes. They’re free; they don’t go towards earning a degree; and, rarely are there assignments, but therein lies the problem. In their current form, MOOCs, the tool that was supposed to change education forever, just don’t have what it takes to keep users interested. The classes have a dropout rate of about 95 percent and of the fewer than 5 percent that complete a course, the majority are U.S. college graduates. Thanks to a two-year $600,000 research award from Google, Rosé is trying to figure out how to lower dropout rates in MOOCs. She said the MOOCs biggest flaw is a lack of social interaction. “We can shape the social environment around MOOCs to make them more supportive and to keep people in and to help people find the support that they need,” Rosé said. 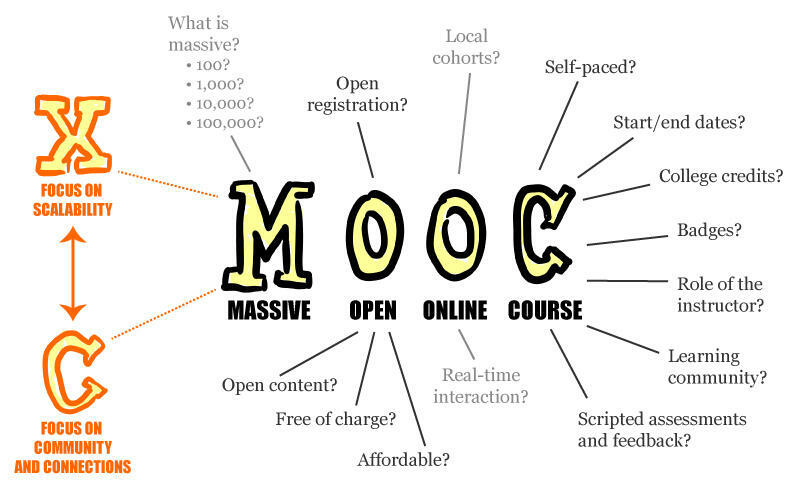 Unlike in the traditional classroom, MOOC users learn in isolation and are rarely given the chance to work with other online students. Justine Cassell is the Associate Vice Provost of Technology Strategy and Impact at CMU. She said social interaction is the key to effective learning, whether it’s a user-to-user connection or even computer generated feedback. CMU researchers are also developing ways to personalize the MOOC experience. Data can show when a student is in danger of dropping out, triggering an automated social intervention to reengage the user. “When a student’s about to quit, that student might get an email saying: ‘Jane on the other side of the country is having similar problems to you. We suggest you put a workgroup together and work on problems 23 because both of you are having difficulty,’” Cassel said. But, so far, most users are just browsing and don’t intend on becoming active students. Cassell’s colleague Carolyn Rosé said that could be the biggest hurdle to overcome. “Overall, we’re still going to see large attrition numbers in MOOCs as long as there’s enough people who are curious about them that they’re going to come and engage in a kind of non-serious way,” she said. Despite the dismal dropout rate and lack of user engagement, Maggie Johnson, director of education and university relations at Google, still believes the MOOC could change the way the world learns. “The types of projects that Google’s interested in, funding and collaborating on are exactly the ones that are going to show the potential and really push the platform and the mechanism of learning in new directions,” she said. And that potential is what keeps CMU’s Carolyn Rosé working to improve the MOOC. Rosé said MOOCs aren’t going to be an overnight success and won’t be replacing the traditional classroom in the near future, but, what about the far future? The Allegheny Health Department reported that 30% of school age kids in the county are obese or overweight, and a new Pittsburgh start-up aims to address this issue with animated characters shaped like food and 6 years of research at Carnegie Mellon University (CMU). Fitwits combines stories, games, and instructions for parents and professionals on how to deal with the sensitive subject of obesity. It’s hard to imagine a kindergarten room without colorful drawings and posters, crafts on display and educational charts and maps covering the walls. But a recent study by Carnegie Mellon University shows that decorations in classrooms may actually hurt the learning process. Associate professor of psychology at CMU Anna Fisher led the study, which tested the effects of classroom decorations on focus and ability to learn in children ages 3-5. 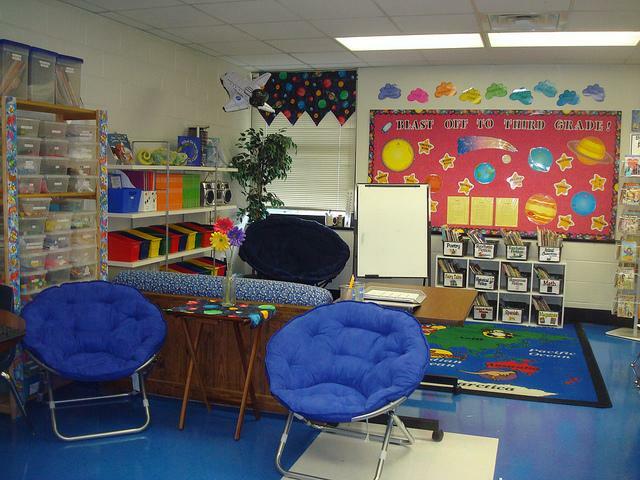 When placed in a highly decorated classroom, the children spent more time off-task and retained less information. Anyone can travel through 100 years of income history of 29 countries thanks to a new website created at Carnegie Mellon University’s CREATE Lab. A new way to reduce energy in the workplace developed at Carnegie Mellon University could save companies thousands of dollars. The Intelligent Dashboard lets employees know how much energy they are using at their desk. Developers say this will encourage workers to take action to save energy by unplugging devices that are not in use. “We wanted to investigate if there is any good way to show their energy usage and if there is any good way to motivate them to conserve energy at work,” said Ray Yun, PhD students and lead developer.